Pompeo gained exposure to intelligence matters in 2013 when he was appointed to the House Intelligence Committee. In that venue he leveled scathing criticism of the accord. In interviews and written pieces, he has pointed to Iran as the primary source of conflict in the Middle East since Tehran’s 1979 revolution. “Ayatollah Khamenei watches America allow Iran to expand its power while our president writes him missives ensuring we will protect Iran’s interests. This is dangerous. The Islamic Republic cannot even feed its own people without access to markets and our president rewards that nation, which has killed countless Americans, with sanctions relief,” Pompeo complained in December 2014, before the deal was signed. 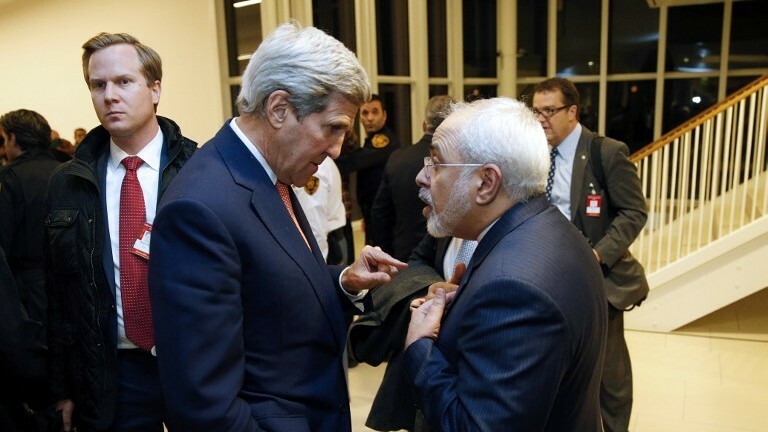 “We should make clear that nuclear enrichment is not acceptable inside of Iran for any purpose…” Last year’s deal does allow Iran ongoing limited enrichment. As a candidate for the presidency, Trump bitterly criticized the Iran deal, which was designed to thwart Iran’s rogue nuclear program in return for lifting economic sanctions, but was contradictory about how he would handle it — promising variously to “dismantle” and to “enforce” it. 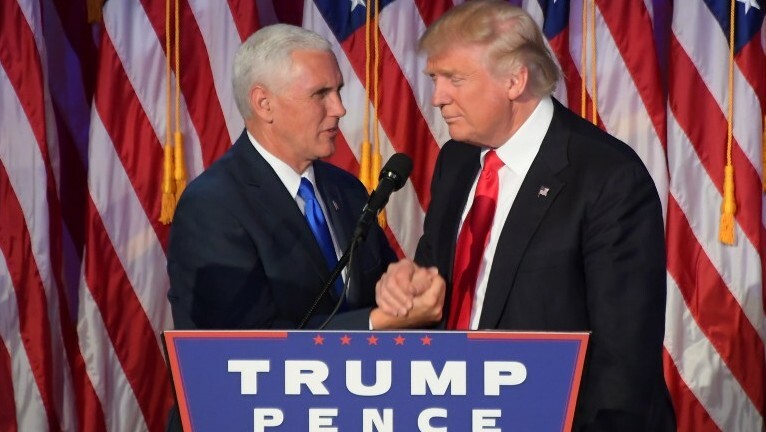 Israel’s Ambassador to the United States, Ron Dermer, who met with Trump in New York on Thursday, said after their talks that Israel “looks forward” to working with Trump’s leadership team. 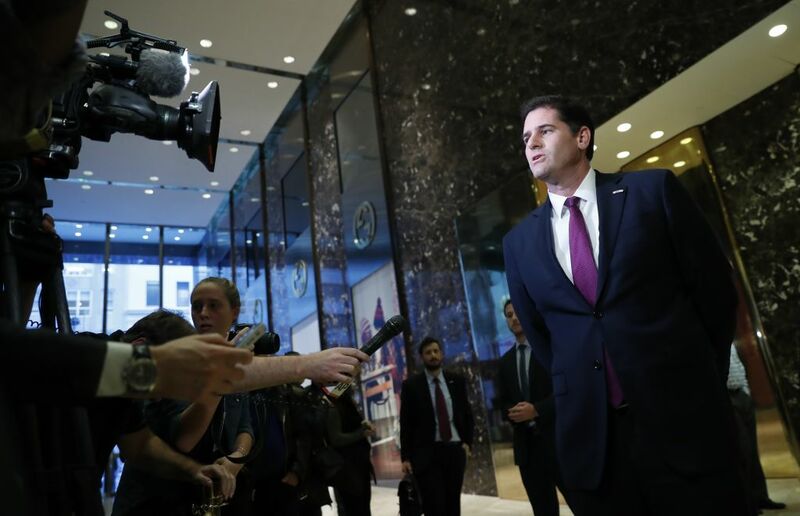 Dermer’s boss, Prime Minister Benjamin Netanyahu, has been the foreign leader most publicly opposed to the deal — before and after it was signed — warning that far from stopping Iran, it will pave the ayatollahs’ path to a nuclear arsenal. 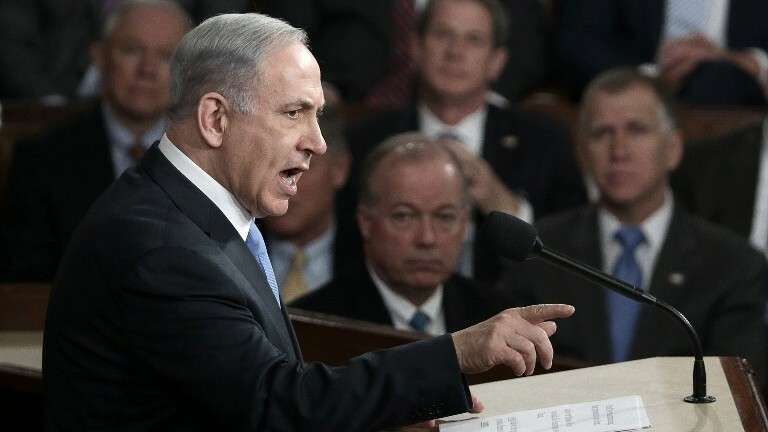 Netanyahu even resorted to lobbying against the accord in Congress in March 2015, a step that put him publicly at odds with Obama, and that markedly heightened the frictions between them. Pompeo has said that Muslim leaders are “potentially complicit” in terrorist attacks if they do not denounce violence conducted in the name of Islam. “They must cite the Quran as evidence that the murder of innocents is not permitted,” he said in a 2013 House floor speech. Pompeo also said former National Security Agency contractor Edward Snowden should face the death penalty for taking and releasing secret documents about surveillance programs in which the US government collected the phone records of millions of Americans. “Throughout his years of public service, Rep. Pompeo has been a friend of American Jews and a true friend of Israel. His staunch opposition to the Iran nuclear deal shows he takes our interests to heart and we are proud to support him,” Brooks said in a statement Friday. 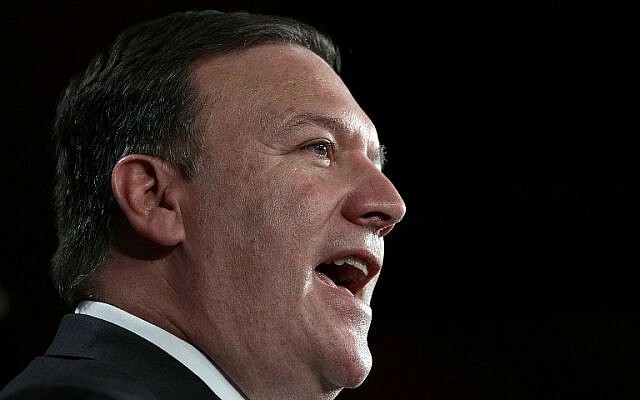 As a member of the House Intelligence Committee, Republican Representative Pompeo, 52, has been active in monitoring the CIA and other US spy agencies, and has argued that they need unrestricted powers to collect data online from US citizens and foreigners. The former army officer has also opposed efforts to shut down the US Guantanamo Bay prison camp for terror detainees, regularly criticizing releases and transfers of prisoners. Crucial in the job will be how he regards the use of torture in interrogations banned by the Obama administration. A graduate of the prestigious US West Point military academy, where he was first in his class, and later Harvard Law School, Pompeo worked in the powerful Republican-oriented law firm Williams and Connolly and owned an aircraft components firm, Thayer Aerospace. After selling that company, with financial support from the influential conservative billionaire Koch brothers, he was elected in Kansas in 2010 to the House of Representatives, where he was a member of the hardline Tea Party faction. In the House, Pompeo made his name as one of the leaders of the controversial Benghazi Committee. Its highly politicized investigation into the 2012 attack on the US consulate in the Libyan city, which left four Americans, including the US ambassador, dead, targeted Trump’s presidential rival Hillary Clinton. Pompeo has also strongly opposed the controls Congress set on data collection on American citizens by the CIA, National Security Agency and other agencies after the NSA’s unauthorized sweeping of phone data was exposed in 2013. In January he wrote in the Wall Street Journal that new restrictions were blunting the surveillance capabilities of the intelligence community. But with enemies like Islamic extremists increasingly able to use encryption to hide their communications, he also said that the agencies needed greater funding and staffing for field activities. Nevertheless, Pompeo’s work has earned grudging respect from even his Democratic colleagues. “While we’ve had our share of strong differences, I know he’s someone who is willing to listen and engage, both key qualities in CIA Director,” he said in a tweet.